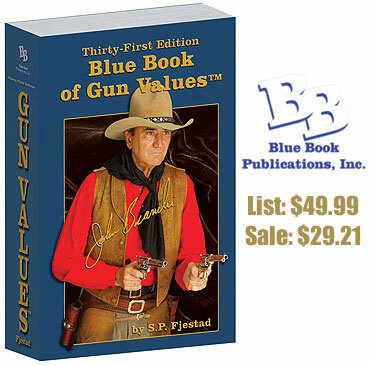 The new, 2320-page, 31st Edition of the Blue Book of Gun Values is now on sale for just $29.21 with FREE Shipping. (List price is $49.99!) Released in April 2010, this is the latest version of this definitive resource. This new edition has been expanded to over 2,300 pages, all gun values have been thoroughly updated for both modern and antique firearms, including military-style guns. It also includes new 2010-model guns, both US-made and imported. Other features include an 80-page color Photo Percentage Grading System to aid in accurately determining condition of firearms and serialization and proofmark sections to help in identifying firearms. Share the post "Great Deal on Latest (31st Edition) Blue Book of Gun Values"
Polish up your PPCs boys, the Super Shoot starts this coming Wednesday. The Firearm Industry Super Shoot (FISS), the largest short-range benchrest match in North America, runs for four days, May 26-29, 2009 at the Kelbly range in North Lawrence, Ohio. This is a LV/HV match only. Here’s the shooting schedule: May 26 10.5-lb 100 yards; May 27 13.5-lb 100 yards; May 28 13.5-lb 200 yards; May 29 10.5-lb 200 yards. The Super Shoot attracts 320 or more shooters every year. For more information, go to Super Shoot Info Page, or click the links below. The competition is limited to 420 shooters. But it’s not too late to register. The Kelblys tell us “there are still places available if you get your registration in soon.” Note: Registration fees are currently $120.00 per gun (this is the price after May 10). No exceptions. Share the post "Kelbly’s Firearm Industry Super Shoot Runs May 26-29"